Hello readers! This week’s reviews are for local/Philippine brands. Let’s start with Ever Bilena, one of the leading cosmetic brands. They emailed me a few weeks ago to try their skin care products. 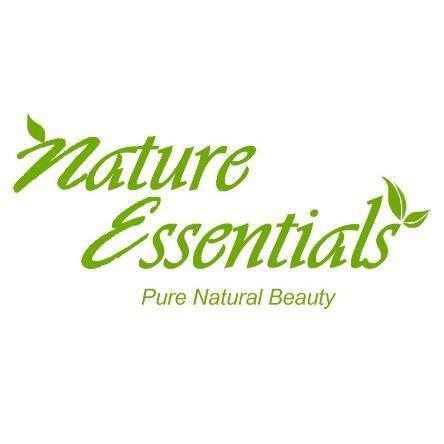 EB Naturals range has kojic soap with papaya/collagen, face & body sunscreen with moisturizing/whitening and body lotions with argan oil, milk, cucumber, papaya, collagen, citronella. Description: infused with Papaya extract that helps whiten skin and reduce appearance of uneven skin tone. It smells like candy at first. It reminded me of Fruitos candy. But when you smell it again, you’ll notice the papaya scent. It has papaya extract which is a trusted whitening ingredient here in our country. 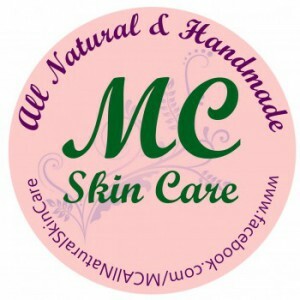 This soap also has Salicylic Acid, an anti-acne and antibacterial. It’s good for cleansing the skin. It doesnt melt easily, 90 grams will go a long way. It lathers quickly. I felt squeaky clean and I like that for the body area. My skin was not too dry after rinsing. If you’re not into that, lotion is your next step. I’ll continue using this and see if it will minimize bacne and lighten spots. Description: Made with Papaya extract, to help make your skin fairer and more radiantly beautiful. With UV protection to keep you safe against harmful rays of the sun. Its consistency is like your usual lotion. But I was surprised that my skin absorbed it quickly. Out of all the lotions I’ve tried, this is the most fast-absorbing one. It gives enough moisture and hydration. It has a lightweight feel and no stickiness. My skin feels like skin after application. I sweat a lot so I prefer non-sticky products. I also use public transportation. You know all the heat and pollution we experience daily. I must say this lotion is commuter-friendly. Description: It has Vitamin E and Shea butter to keep skin moisturized. It also has Licorice extract to lighten skin. It has UVA/UVB protection to shield the skin against harmful rays of the sun. 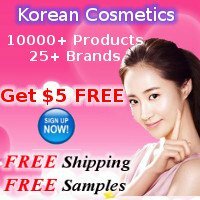 Its texture is thick and mousse-like but feels light on the skin. It doesnt come off easily even if I’m sweaty. If you’re going for a swim, always reapply sunscreen every 2 hours. That’s a general rule even if a product is long lasting. No need to worry about sticky film. It claims to be non-greasy and I approve of that. I also consider this commuter-friendly. Aside from sunscreen ingredients, it has Allantoin (moisturizing & healing), Shea Butter (moisturizing), Licorice for whitening and Vitamin E.
You can use the lotions for 2 years after opening. I’ll probably finish these bottles in less than a year. Out of all the products in this range, my favorite is Papaya Hand & Body Lotion. I love the scent and my hands look younger when I use it. I’m using these for almost 2 weeks on my sensitive skin. They did not trigger dermatitis/eczema. 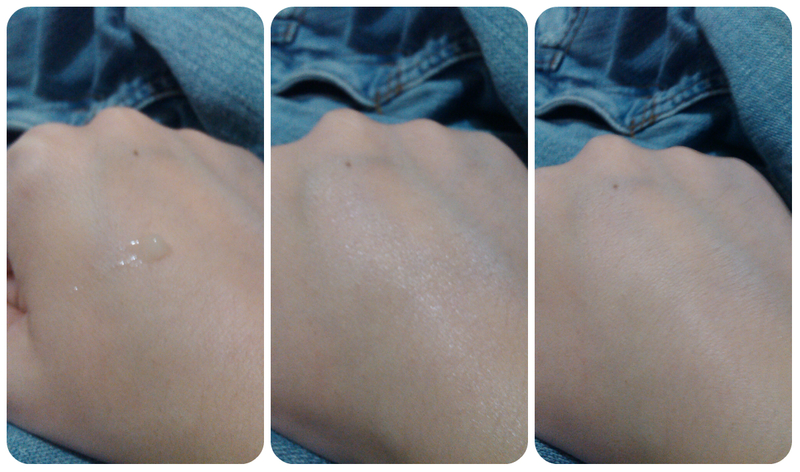 Since I have pale white skin, it’s quite difficult to see whitening results from products. What I did notice is they brightened my skin and made it look glowing. Sunscreen protects us from the sun’s harmful rays and avoiding skin cancer. Everyone should have sunblock for face and body. The heat is increasing and it’s more harmful for our skin. I’m guilty of not using one when I was younger. Last month, I was thinking of including it in my routine. Ever Bilena came just in time. Visit everbilena.com.ph to check out/shop for the rest of their skin care line and makeup. I bought this to lighten my dark spots. I find that it’s too harsh because it has 4 types of acids. I only use it on breakouts. It dries acne fast. An impulse buy and my sister got it for me. Another gift from my sis. I’m not yet sure if I will declare it as one of my holy grails. Wishtrend sent this to me. It has lavender which is one of my favorite ingredients. It has ceramide too that’s needed for my dry flakey flare ups. I’ll post my full review next week! I was praying and asking signs if this mask is available then I should get another tub. If not, it’s time to try a new one from another brand. To my surprise it’s available when I visited their store. My all time favorite cleanser. I took a break from using this for almost a month now. I want to have it on hand just in case I like to go back to it. This is a sample size in my recent Wishtrend package. It’s a raved product in 2014 or last year. Maybe I’ll do a first impression post soon. These masks were added to Wishtrend’s package as a bonus. I’m so glad they gave us 4 masks. I’m excited to try them out. It’ll be my first time to try a mask that also gives love for our chin area. Gifts from my sister again. I’m spoiled. Haha. It’s spring time in Korea and now brands are releasing cherry blossom lotions. Another gift from my sister. I actually prefer the silver curler because it’s more affordable. But my sister said this rose gold one looks even better. There’s not so much in my hauls, right? I’m trying to reduce hoarding or making impulse buys. I’m having a hard time storing them. Haha. Aaaaah, sometimes the beauty world is tiring for me with all the consumerism and hyped up products. You thought I was taking a break from being a lushie, huh? Naah. I’m back with another Lush review. They donated for different causes worldwide with the help of Charity Pot Hand & Body Lotion. Everything they earn from it will be donated to the chosen charity. Lush will only get VAT/tax which is a government regulation. I planned to get a tub of this but I want to know where will the proceeds go. It was for CARA Welfare Philippines. It’s a local animal shelter and clinic. You know how much I love dogs. Water, Fair Trade Olive Oil, Glycerine , Organic Jojoba Oil, Moringa Oil, Fair Trade Cocoa Butter, Stearic Acid, Fresh Aloe Gel , Fair Trade Shea Butter, Triethanolamine, Geranium Oil, Rosewood Oil, Ylang Ylang Oil, Fair Trade Vanilla Absolute, Cetearyl Alcohol, *Citronellol, *Coumarin, Geraniol, *Linalool, *Limonene, Fragrance. It’s rich and thick lotion so it’s quite sticky, not for a hot and humid weather. It immediately gives moisture. Little goes a long way because this is full of butters and oils. 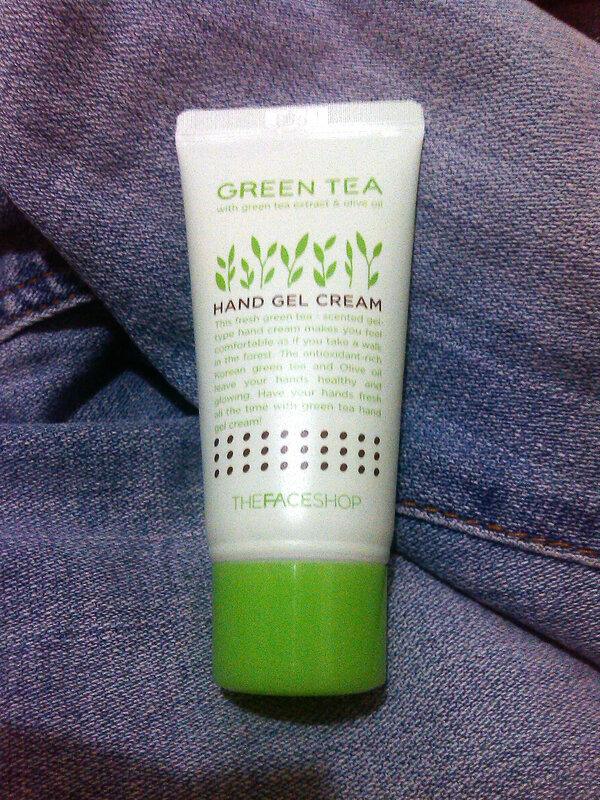 Great for dry skin and for my wrinkly hands. I’m pretty impressed with its ingredients. It’s reasonably priced because of those plus you’re helping an organization. I highly suggest this in winter season. For us in the PH and other tropical countries, this is great as a night treatment. Makes your skin whiten, soft and elastic. Protect your skin from free radicals, contaminations and irritations. Contains extracts of aloe vera, portulaca, moraceae, centella and green tea to calm and soothe skin. Hello readers! Our theme this week is body care. To start off, I’ll be reviewing a product from a trusted brand, Jergens. It’s always recommended by a lot of dermatologists… Including my brother’s doctor. I’m not skeptical to use this because I know we have the same sensitive skin. The packaging looks like this. It’s in a plastic tube which makes it easy to dispense. nice packaging. Can be put in my bag, no spills. 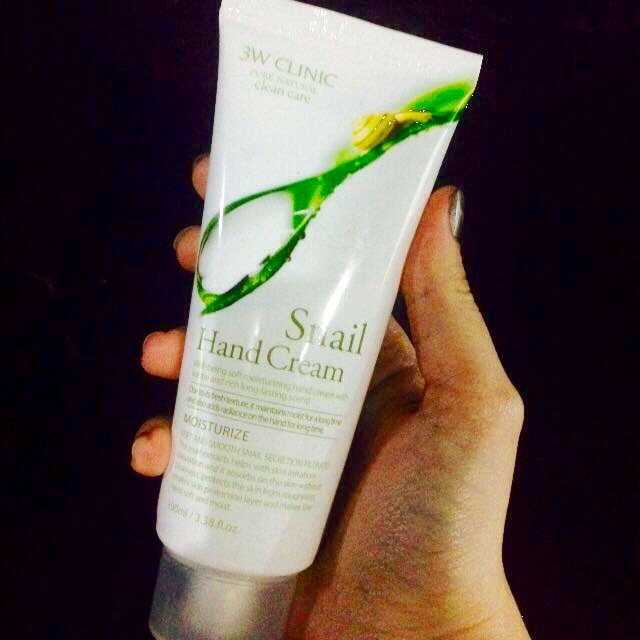 percentage of snail secretion filtrate is not indicated for those who are curious. This is a must for me especially if it’s a serum/essence. Hello guys! I’ve been busy lately. I can already feel the Christmas spirit! 😀 Anyway, my hands always feel very dry and then they will sweat a lot. :O It’s weird. Maybe it’s because I always wash my tired hands whenever I go to the bathroom.